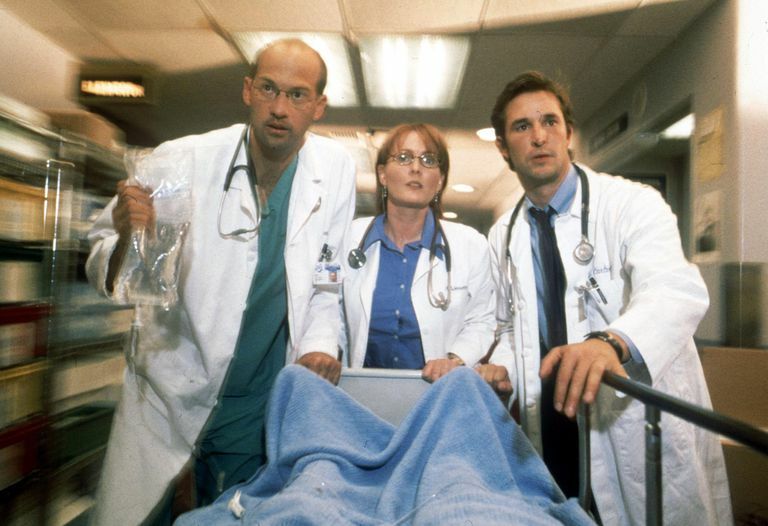 Over the years, NBC's ER has featured some of Hollywood's biggest stars in memorable guest roles. From Rosemary Clooney to Forest Whitaker, take a trip down memory lane with this lovely photo gallery of ER's most noteworthy guest stars. Episodes: "Greene with Envy," "Sins of the Fathers," "Truth & Consequences," "The Peace of Wild Things," and "Humpty Dumpty"
He may have played a wacky doctor on Mash, but Alan Alda's five-episode stint as Dr. Gabriel Lawrence on ER. Alda's character comes to County General as the new attending physician and instantly clashes with Dr. Greene. As his misdiagnoses of patients and memory loss become a hindrance (as well as dangerous) in the ER, Kerry Weaver steps in to help the man who was her mentor many years ago. He is ultimately diagnosed with Alzheimer's. This role earned Alda an Emmy nomination. The popular young actress played a girl who is brought into the ER following a car accident with her father. Abby discovers that she has leukemia and desperately needs a bone marrow transplant. The only family member who is the most eligible happens to be her half-sister, whose mother refuses to allow her daughter to be tested out of spite for her ex-husband. In the end, Abby convinces the mother to bring her daughter down to the hospital. Episodes: "The Show Must Go On," "Nobody's Baby," "Wake Up," and "Dream House"
Character Name: Charles Pratt Sr.
We loved him in the Lethal Weapon movies, but Danny Glover's character on ER wasn't exactly the fun-loving man from those films. In his four-episode stint, Glover plays Pratt's estranged father. In this episode, we learn that Pratt's father deserted him as a young boy and it isn't until he meets his half brother that he has the chance to meet his father and finally confront him after all those years. His father does his best to turn his life around and get to know his son, but Pratt refused to give his father the chance to hurt him all over again. Ewan at 2015 Sundance Film Festival. Episode: "The Long Way Around"
Years before he played the legendary Obi-Wan Kenobi in the Star Wars movies, Ewan McGregor made a guest appearance on ER. McGregor played Duncan, a gunman involved in the robbery of a convenience store. Carol Hathaway had her share of trouble over the years, so being a victim in a robbery gone wrong was right up her alley. When one of the two gunmen is shot, Carol is forced by McGregor's character to care for the man (who is bleeding to death). Carol and Duncan form a bond during the ordeal, so when he is gunned down by police in the end, she can't help but feel saddened by the way it all turned out. She really had a way of attracting those bad boys, didn't she?! 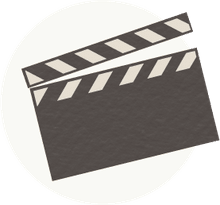 Episodes: "Ames v. Kovac," "Heart of the Matter," "Jigsaw," "Tell Me No Secrets...," "A House Divided," and "Murmurs of the Heart"
Oscar-winner Forest Whitaker blew audiences away with his six-episode stint as Curtis Ames. His character first appeared as a plaintiff in a case against Luka Kovac for malpractice. Ames had been a patient who came into the ER with a cough and left a cripple. Due to an extremely high volume of patients and lack of attention by the ER doctors, Ames spent three days in the ER after being diagnosed with pneumonia. He later suffers a stroke but refused the medication that could have prevented any long-term repercussions. When Ames loses his case, he begins to stalk Luka, Abby, and little Joe relentlessly. In the end, he kidnaps Luka and then commits suicide after police surround the building. Ray Liotta's heartfelt guest appearance as Charlie Metcalf is one of those classic ER episodes we won't soon forget. Charlie is a former prisoner who comes into the ER and soon learns that his esophagus is bleeding badly and his kidneys are shutting down. Once he comes to terms with the fact that he doesn't have long to live, Charlie begins explaining about how he wound up in prison and why his son Bobby doesn't want anything to do with him. As hallucinations continue to set in, Charlie sees his son in various settings and in the end, he believes Pratt is Bobby, who has finally come to the hospital to see him, and he quietly slips away. Episodes: "A Miracle Happens Here," "Dead of Winter," "True Lies," "The Right Thing," and "Ruby Redux"
The legendary film star made his mark on ER as Ruby, an elderly man who brings his wife to County General and ultimately changes John Carter's life. When Carter learns that Ruby's wife is dying, he takes the cowardly route and chooses not to tell him the truth -- a move that eats away at the young doctor for a long time to come. As a result, Carter becomes a better, more compassionate doctor. Episodes: "The Gift" and "Going Home"
The movie, musical icon and George Clooney's aunt hit the ER in its very first season as Mary Cavanaugh, an Alzheimer patient who takes a liking to Carter. In her first appearance, she believes it's still 1948 and tries to get Carter to appreciate the music of her day. The second time Mary comes to the ER, she believes she has checked into a nice hotel and asks Carter to take her bags to her room. As a result of his time spent with Mark, Carter learns an important lesson in patience and compassion. Oscar-winner Susan Sarandon appeared in the final season as a grandmother forced to make the tragic decision about whether or not to pull the plug on her grandson and donate his organs. His kidney went to save John Carter's life. Sarandon shared scenes with George Clooney and Juliana Margulies. Before he hit it big time with High School Musical, heartthrob Zac Efron portrayed a high school boy named Bobby Neville, who has the grave misfortune of being shot and taken to County General during a major crisis. Sadly, Efron's character never makes it out of the ER, thanks in part to Abby's fellow colleague not listening to her suggestions on how to treat the young boy. Who Does What Voice on 'Rick and Morty'?